Please join us as we discuss The Lady and the Panda by Vicki Croke. Copies are available at the branch. VICKI CONSTANTINE CROKE has been covering pets and wildlife for more than two decades -- and, obviously, has been having a good time doing it. Now reporting regularly on animal issues for NECN TV, she previously wrote The Boston Globe's "Animal Beat" column for for 13 years. A former writer and producer for CNN, she has been a contributing reporter for the National Public Radio environment show Living on Earth covering everything from gorilla conservation to a coyote vasectomy. She consults on film and television projects, most recently a two-hour documentary on gorillas for the A&E channel. Croke is the author of "The Modern Ark: The Story of Zoos-Past, Present and Future," and has also written for Time, People, The Washington Post, Popular Science, O, The Oprah Magazine, Gourmet, National Wildlife, Discover, International Wildlife, The London Sunday Telegraph, and The Atlanta Journal-Constitution. 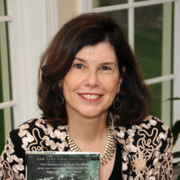 Vicki Croke is currently considered a "single author." If one or more works are by a distinct, homonymous authors, go ahead and split the author. Vicki Croke is composed of 2 names. You can examine and separate out names.